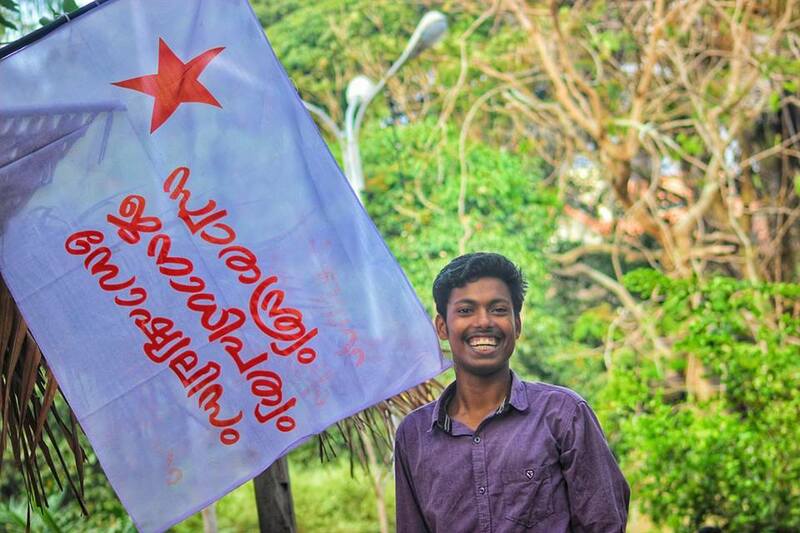 A Student Federation of India (SFI) activist and a student of Maharaja’s College Ernakulam, Abhimanyu (20) was stabbed to death allegedly by Campus Front-Popular Front activists today morning. Another student of the college Arjun (19) got seriously injured in the attack. He was taken for a surgery at a private hospital. He’s in critical condition. Another student, Vineeth, also was injured. Abhimanyu is a second year B.Sc Chemistry student. There was a clash over pasting poster to welcome the fresh students between SFI activists and Campus Front activists. In the wee hours of Monday, Campus Front-Popular Front activists barged into the Maharaja’s student’s hostel and the SFI students were stabbed. Desabhimani daily reported that one person held Abhimanyu while another person stabbed him in the chest. He died on the spot. Three Campus Front activists were taken into custody in connection with the incident, said police. Desabimani daily reported the names of two culprits as Bilal of Kottayam and Riyas of Fort Cochin. SFI is the student wing of Communist party of India (Marxist). Campus Front is the student wing of the fundamentalist Islamist organisation Popular Front. In another high profile case involving Popular Front, in 2010 Popular Front activists had chopped off the wrist of Professor T.J Joseph allegedly for blasphemy in relation with a question paper he prepared for a periodical test in his college. 13 popular front activists were convicted in the case.